This particular baobab tree is in #Tanzania and is claimed to be 6,000 years old, so possibly the oldest tree in the world. I am not sure about the accuracy of this claim but judging by the size of the tree it's definitely ancient. The tree is leafless for 8-9 months in a year and can grow to over 30 metres tall. 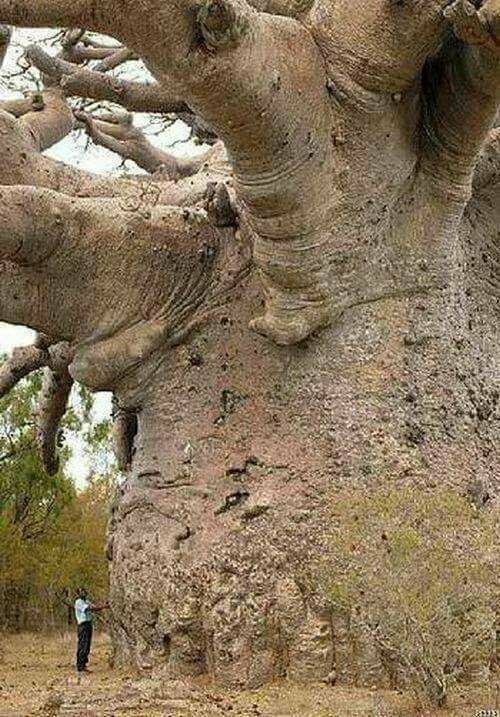 Baobab trees grow in Africa, Australia, and the Middle East. Most parts of the tree inclding its bark, leaves, fruit and trunk can be used as food, medicine, and a variety of household items. 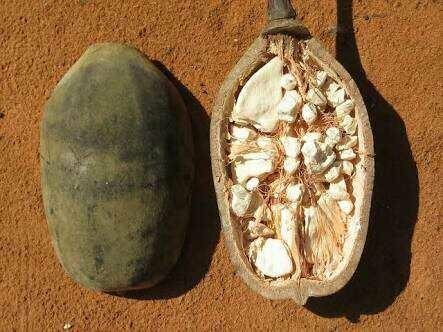 As a teenager living in #Dar es Salaam, Tanzania, I remember enjoying the baobab fruit which I often bought from street vendors. It has a somewhat sour taste. Fruit pulp can be used to enhance its taste. 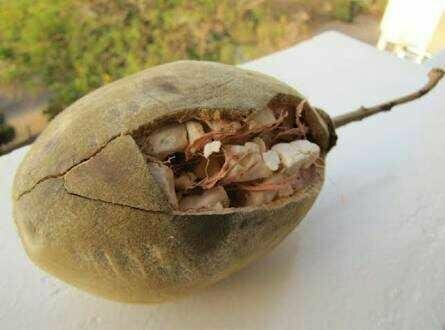 It's popular in coastal areas in East Africa.